I’ve got an ever-growing list of things I’d like to learn. At the moment it includes pearl tatting, downward facing picots, the pointed chain, and to get more comfortable with beads. I can use beads, and have many times, but I just don’t like them. But I’d like to like them. 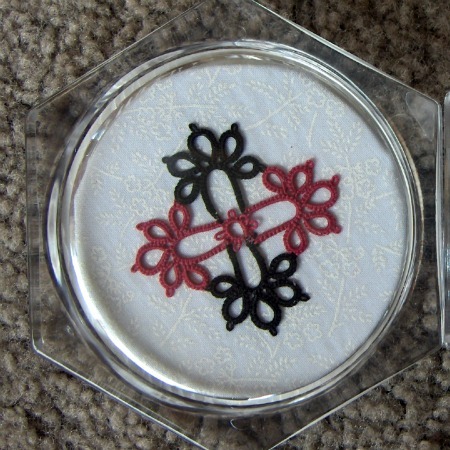 I’d also like to get more comfortable with my newly acquired skill in frontside/backside tatting. I like making goals, and I like making them early. I often find that writing down some goals helps me to focus and I get a lot more out of my endeavors. Even if I don’t stick to the original goals, or modify them or drop them in the light of changing life-ness that happens, I get further than I would have without some kind of a plan. What are your goals? What would you like to learn or practice or make or design? 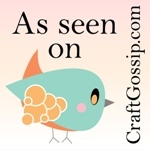 Please share your 2012 tatting plans. My goals are modest, and should not take all of 2012 to achieve: tat consistently, blog about it, and finish all of my outstanding projects (too many on my plate). 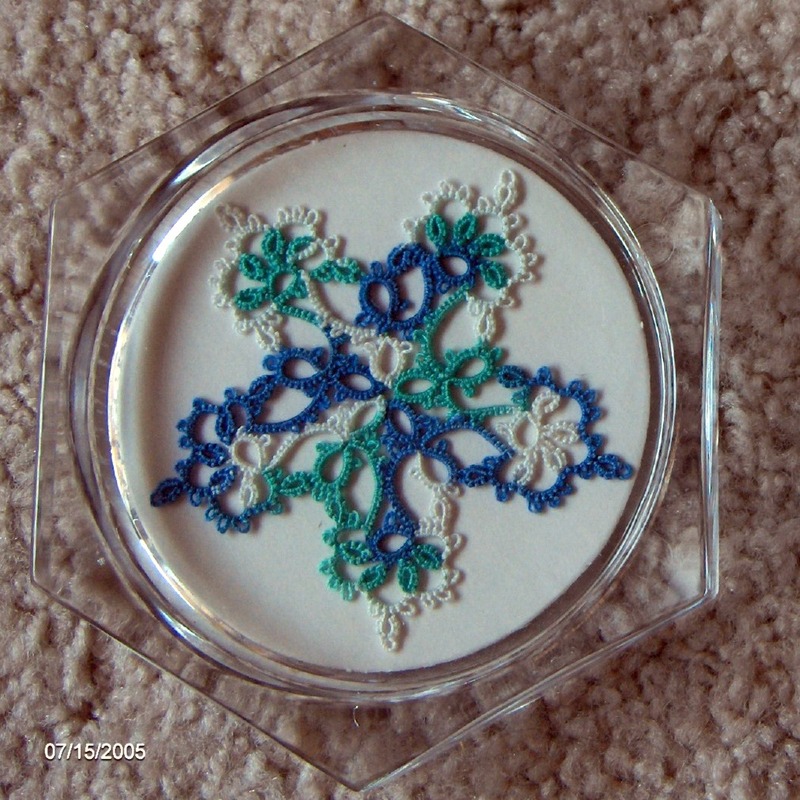 I just got past a long period of tatting block, so tatting some every day is key. Hope to keep improving with each project. Do the minor Norwegian dragon!! Work out more old patterns. I am just a beginner, sooooo anything that I can understand and do… I still get confussed as how to bet from one round to the next..! 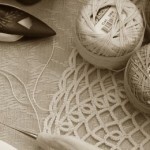 I believe that tatting is a living and growing art, with a lot of lovers, and hundreds of creatives. 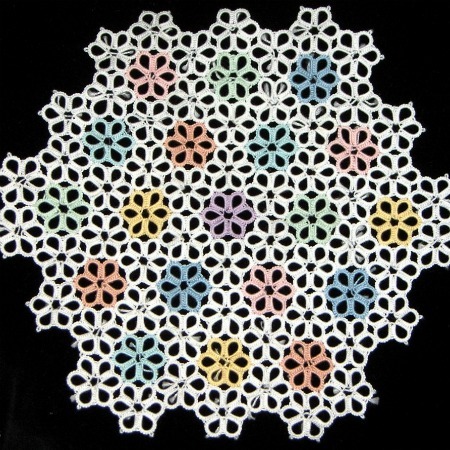 My personal challenge next year is to make something in 3D, combining origami and paper’s techniques (for example http://paneamoreecreativita.it/blog/2011/12/lalbero-di-natale-di-feltro/ ) but in tatting lace. Love, Ninetta.